Nuclear Regulation Authority's emergency information page says there is no report of troubles at the nuclear plants in the region (Ikata NPP in Ehime, Genkai NPP in Fukuoka, Shimane NPP in Shimane). 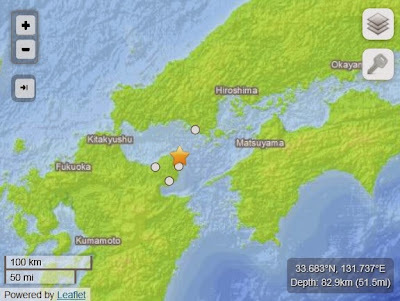 Ikata Nuclear Power Plant with pressurized water reactors by Mitsubishi Heavy Electric sits extremely close to Japan's Median Tectonic Line, the largest fault in Japan, part of which is active. The plant is one of the few nuclear power plants in Japan slated to restart after NRA finishes the reviews. I do not believe anyone in Japan, regardless of whether he/she is pro-nuclear or anti-nuclear, wants to have another nuclear accident. But according to the former chairman of the US Nuclear Regulatory Commission, Japan then has to abandon nuclear power. 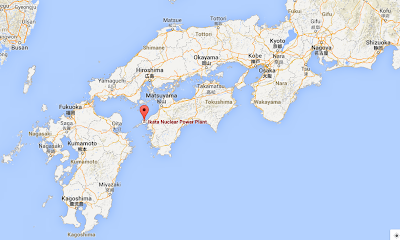 Fukushima Watch: Is Japan Ready for Another Nuclear Accident? Is Japan ready for another nuclear accident? That is a question the country must answer before returning to large-scale reliance on nuclear power, according to a former senior U.S. nuclear energy regulatory official. “This has to be remembered — that there are certain accidents that are not preventable,” said Gregory Jaczko, former chairman of the U.S. Nuclear Regulatory Commission. “The question Japan has to ask itself is: Is the country willing to have another accident? And if the answer is no, then the answer has to be no more nuclear power,” he said Tuesday in an interview with JRT. Reaffirming a commitment to nuclear power was one of Prime Minister Shinzo Abe’s campaign promises in the national election he won in late 2012. But during parliamentary deliberations Monday, Mr. Abe himself called for a reduction on dependence on nuclear power “as much as possible.” Nevertheless, he stressed the importance of nuclear power and called for the restart of reactors idled since the Fukushima accident. Public opinion polls have consistently shown high approval for Mr. Abe’s leadership and strong opposition to nuclear power at the same time. In the March 2011 disaster, an earthquake caused large tsunami waves that knocked out all backup power at the Fukushima plant, paralyzing cooling systems and eventually causing three of six reactors to melt down. 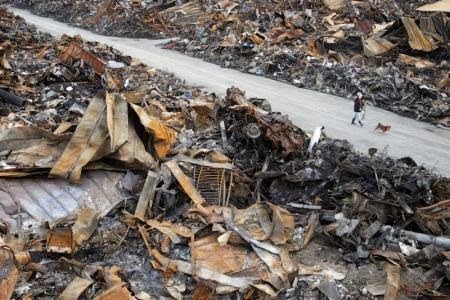 Investigations later showed the plant’s operator Tokyo Electric Power Co.9501.TO -2.51% had underestimated the potential size of a tsunami and the chances of losing all power, ignoring studies recommending stronger safety systems. Mr. Jaczko said it was true Tepco had failed to sufficiently prepare for the disaster. “But at the end of the day, Tepco didn’t create the earthquake, Mother Nature did that,” he said. Japan’s new, stricter regulations meant to prevent another big accident like Fukushima took effect in July 2013. Since then, the Nuclear Regulation Authority has been reviewing the safety of several reactors that power companies want to restart. The NRA is expected to identify one or two reactors that are nearly ready to restart when its board meets Thursday. 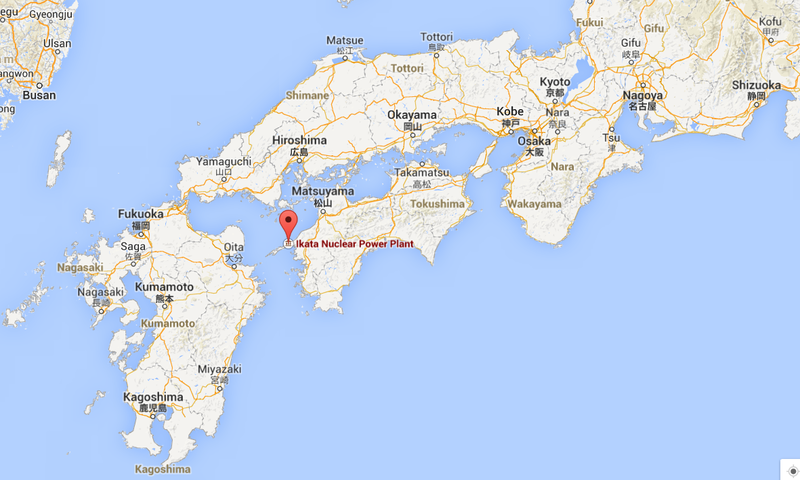 That nuclear power plant looks to be Sendai Nuclear Power Plant located in Kagoshima Prefecture in southern Kyushu. The operator, Kyushu Electric Power Company, is likely to face power shortage this summer, and there is little opposition in the city of Satsumasendai, where the power plant is located. Japan's Nuclear Regulation Authority's review of the nuclear power plants based on the new regulatory standard that NRA crafted in haste is mostly about hardware - plants, reactors, equipment, backup batteries, etc.. 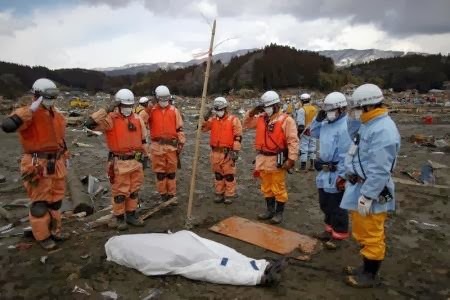 I don't believe NRA has even adequately investigated what went wrong on the "software" side of the Fukushima nuclear accident - how well or how badly politicians, regulators, scientists, TEPCO communicated with each other in the crucial first few weeks of the accident, for example. Or why the teleconference system at the Prime Minister's Official Residence was never turned on. Or why no one was able to tell then-PM Kan to shut up and listen to the experts. They didn't communicate well at all, but the NRA commissioners - four scientists and one former diplomat - seem to think they can do much better and there is no need to learn from the mistakes from people like Dr. Haruki Madarame, who has publicly demanded that NRA call him and hear him out. Dr. Madarame is rather upset that the NRA commissioners don't think it necessary to learn from the mistakes he made as he was in the middle of the initial chaos after the start of the nuclear accident. So, not for the reason that Dr. Jaczko cites - if Japan don't want another nuclear accident - but for the reason that practically nothing has been learned on the "software" mistakes from the Fukushima nuclear accident, I agree with Dr. Jaczko that Japan should stay away from nuclear power generation. This news, at least on the net in Japan, was probably the most talked-about news on March 11, overshadowing the 3rd anniversary of the triple disaster of earthquake, tsunami and nuclear accident. Less than 40 days after a team led by Haruko Obokata of the RIKEN Center for Developmental Biology in Kobe, Japan, presented two stunning papers claiming a method of using a simple acid-bath method to reprogramme mature mammalian cells back to an embryonic state – so called STAP cells – researchers in Japan, including one of the paper’s co-authors, are calling for them to be retracted. Within weeks of their January 30 publication, the paper was criticized for irregularities and apparent duplicated images. Numerous scientists also had difficulty reproducing the supposedly simple method. The team responded with the promise of corrections and a list of tips to help other scientists to reproduce the results. Over the weekend, however, two more serious problems surfaced. The Nature paper was found to contain two images apparently duplicated from Obokata’s doctoral dissertation. Her thesis also reported experiments dealing with cells that were supposedly in an embryonic state, but the cells reported in the Nature paper were said to be derived from a different process in an altogether different experiment. The revelation has led to a flurry of calls – including some from senior scientists in Japan – for the paper to be retracted. Perhaps the most damning comes from Teruhiko Wakayama, a cloning expert at Yamanashi University and a corresponding author on one of the papers. Interviewed by NHK news, Wakayama said: “I have lost faith in the paper. Overall there are now just too many uncertainties about it. I think we have to wait for some confirmation.” Wakayama calls for an investigation of all the laboratory notebooks and data. He continues: “To check the legitimacy of the paper, we should retract it, prepare proper data and images, and then use those to demonstrate, with confidence, that the paper is correct.” Wakayama reportedly contacted all of the authors requesting that they agree to retract the paper. RIKEN says it is still investigating the case. The STAP paper by Obokata also contains "copy and paste" from a paper published in 2005, without any citation or reference. Professor Charles Vacanti at Harvard Medical School, co-author of the paper on STAP cell, says there is no need for retraction. Professor Vacanti also happens to be one of the researchers who reviewed Ms. Obokata's doctoral thesis in 2011 from Waseda University. In Japan, this doctoral thesis is now being dissected in details. A huge chunk of the 100-page thesis - 22 pages out of 24-page introduction was found to have been taken from the National Institute of Health website. One of the key photographs was found to have been taken from a commercial biotech company's website. Even the references to several chapters of the thesis turned out to be "copy & paste" from other papers. There is now a doubt whether Ms. Obokata did the experiment as she claimed in the thesis at all. So far, there is no direct evidence to indicate that STAP cell is also made up, a hoax. However, Nikkan Gendai, a Japanese daily tabloid, raises an interesting point that Obokata and her group used old, dated equipment (which was used in the late 1990s) to take the photographs of STAP cells when her employer, RIKEN, no doubt had the most advanced, top-of-the-line equipment for such purpose. The Japanese media and politicians have been very eager to present a young, female Japanese scientist to the world. Maybe they have been too eager. Reuters has photographs that show towns (or what used to be towns) and people in Tohoku region in Japan right after the March 11, 2011 earthquake/tsunami/nuclear accident. I have little doubt that Japan would have quickly recovered and rebuilt itself after the March 11, 2011 disaster, if it had been just the earthquake and tsunami. Even some of the Japanese experts such as Dr. Masamichi Nishio who have been fanning the fear of a big increase in thyroid cancer in children after the Fukushima I NPP accident seem to be backtracking (link goes to a togetter with Dr. Nishio's comments) these days, as the third anniversary of the triple disaster of earthquake, tsunami and nuclear accident in Japan approaches. The Guardian's article below, however, does not make it crystal clear that the thyroid screening test being done in Fukushima Prefecture since 2011 aims to test ALL children who were 18 years old and under at the time of the nuclear accident and who would have not gone to a thyroid specialist to have their thyroids checked had there been no nuclear accident. Fukushima Prefecture's screening is finding the cases of thyroid cancer which would have gone unnoticed and undetected for years if not decades. To compare the cancer cases found in this screening with the normal cancer cases where the patient goes to the doctor and the doctor makes diagnosis doesn't make any sense, but that's what some experts in Japan and outside Japan have been doing, to the apparent frustration (for some) and anxiety (for many others) among parents in Fukushima. So far, 269,354 children, or about 80% of all children in Fukushima who were 18 years old and younger at the time of the accident have been tested, according to the latest report (2/7/2014; in Japanese) by the Fukushima prefectural government. None of the children found with thyroid cancer had any symptoms. Three years after the worst nuclear accident in a generation, the Japanese prefecture is reporting a rise in the number of children showing cancer symptoms. But is this directly related to the disaster, or is the testing more rigorous? When doctors found several tiny nodules on his 12-year-old daughter's thyroid gland, Toshiyuki Kamei refused to let parental fear get the better of him. The symptoms are not uncommon, and the probability that they will develop into something more serious is low. Yet Kamei can be forgiven for occasional moments of doubt: his daughter, Ayako, is one of almost 400,000 children who were living in Fukushima on 11 March 2011 – the start of the world's worst nuclear accident for a quarter of a century. "As a parent, of course I worry, but my daughter is taking it in her stride," said Kamei, who lives in Iwaki, a city about 40km (25 miles) south of the wrecked Fukushima Daiichi nuclear power plant. "She doesn't tell me if it's on her mind, and I've decided not to ask her about it." Three years after the plant suffered a triple meltdown that released huge quantities of radiation into the atmosphere, medical authorities in Fukushima prefecture are reporting a significant rise in the number of thyroid cancer cases among local children and young adults. The results have prompted a bitter debate about the potential effects the meltdown had on the health of hundreds of thousands of children. Either the higher-than-normal rates of thyroid cancer are connected to the nuclear accident, or they are the inevitable result of a testing regime unprecedented in size, and conducted using state-of-the-art medical equipment. ...At first sight, the figures give cause for alarm. Thyroid cancer normally affects one to two people per million among 10 to 14-year-olds in Japan, a rate far lower than observed in Fukushima, although tests there apply to people aged up to 18. But experts familiar with both disasters caution against making similarly gloomy predictions for the children of Fukushima. Dillwyn Williams, emeritus professor of pathology at Cambridge University, pointed out that a noticeable increase in thyroid cancers was not observed until three to four years after the Chernobyl accident. "Much less radioactivity was released from Fukushima than from Chernobyl," he said. "Most of [the Fukushima radiation] was blown over the Pacific Ocean, and thyroid doses in the most-affected areas are low compared to Chernobyl. "It is very unlikely there will be a large increase in thyroid cancer or any other health problems, apart from anxiety and psychological difficulties. That does not mean the surveillance should stop. There were surprises after Chernobyl and there may be again after Fukushima." Williams and other experts have attributed the large number of cases to the use of hypersensitive ultrasound, which can detect the tiniest lesions, and the large number of children being tested. ...Gerry Thomas, professor of molecular pathology at Imperial College, London University, blames growing anxiety among Fukushima residents on "pseudo-scientists who can shout louder than real scientists". "The biggest effect will be psychological – just as it was post-Chernobyl," said Thomas, who insists the rising number of cases is due to comprehensive screening, not radiation. "I still stick with what I have always said: there will not be a single death due to the radiological consequences of this accident." Ah. The curse of "one in million" continues, but at least the article mentions "comprehensive screening". Professor Geraldine Thomas sounds somewhat like Mr. George Monbiot, or lot like Professor Wade Allison of Oxford University, but her comment that "pseudo-scientists" causing anxiety among Fukushima residents has a point, I believe, after reading numerous articles from the Japanese newspapers on the 3rd anniversary of the nuclear accident.